"Slavic names such as the Bulgarian, Serb or Russian Orthodox church are used inaccurately." The church to be created in Ukraine a unification congress will be called the Orthodox Church in Ukraine, not the Ukrainian Orthodox Church, Archbishop Job of Telmessos (Getcha) has said in an interview with the BBC. "Not the Ukrainian Orthodox Church because there is one church… It belongs to Christ, not some nation or state. A new church will have a different name, that is the Orthodox Church in Ukraine," the archbishop said. "In Greek, the names of churches are the Orthodox Church in Greece, Serbia or Bulgaria. Slavic names such as the Bulgarian, Serb or Russian Orthodox church are used inaccurately and point to ethnophyletism, that is religious nationalism," he said. 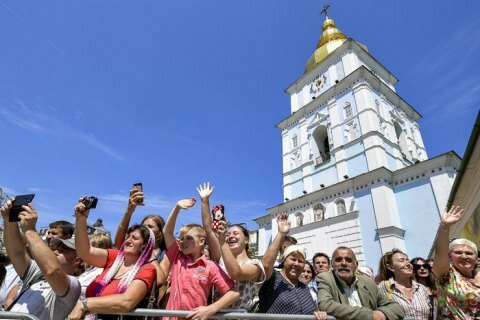 In September, Ukrainian President Petro Poroshenko said that the institution which will be granted autocephaly by the Ecumenical Patriarchate will be called the Ukrainian Orthodox Church. The current Ukrainian Orthodox Church of the Moscow Patriarchate will have a new name.